NSU Career Development hosts roughly one to two case competitions per semester, giving the opportunity for students to compete to find solutions for real-life scenarios and grow experience in each designated field. 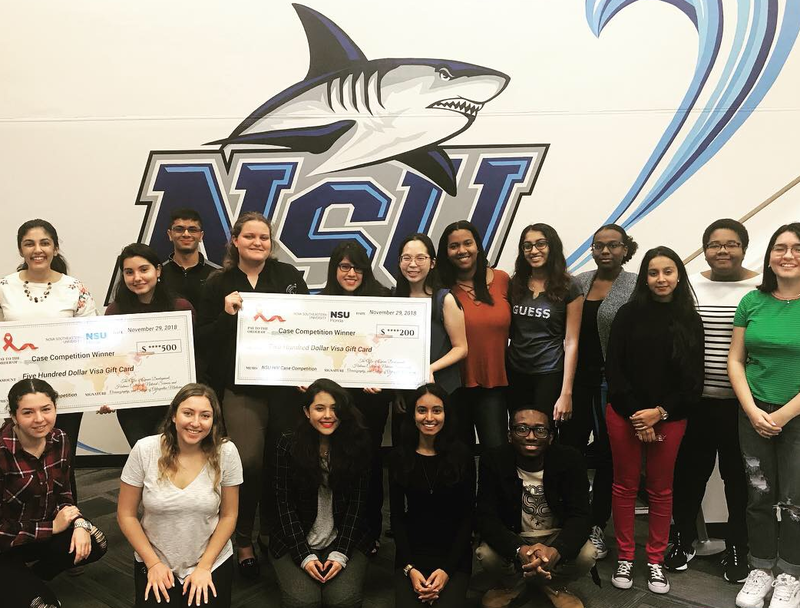 This fall semester, NSU Career Development collaborated with faculty from the Halmos College of Natural Sciences & Oceanography and Public Health Faculty from the College of Osteopathic medicine to host a case study focused on decreasing the prevalence of HIV in South Florida. The first-place and second-place prizes consisted of five-hundred dollars and two-hundred dollars of Visa Gift Cards. The first-place team consisted of Mahnoor Asif, Jasmin Tarakmi, Daria Ghegan, and Samantha Maldonado, each of which are Undergraduate students in the Halmos College of Natural Sciences and Oceanography. Kathy Yanes Perez, Celine Wong, Valeria Pardo, and Jessica Hallet, also Undergraduate students in the Halmos College of Natural Sciences and Oceanography, received the second-place prize. Congratulations to all of the winners of the Pre-Health case competition as well as all of the students who participated. 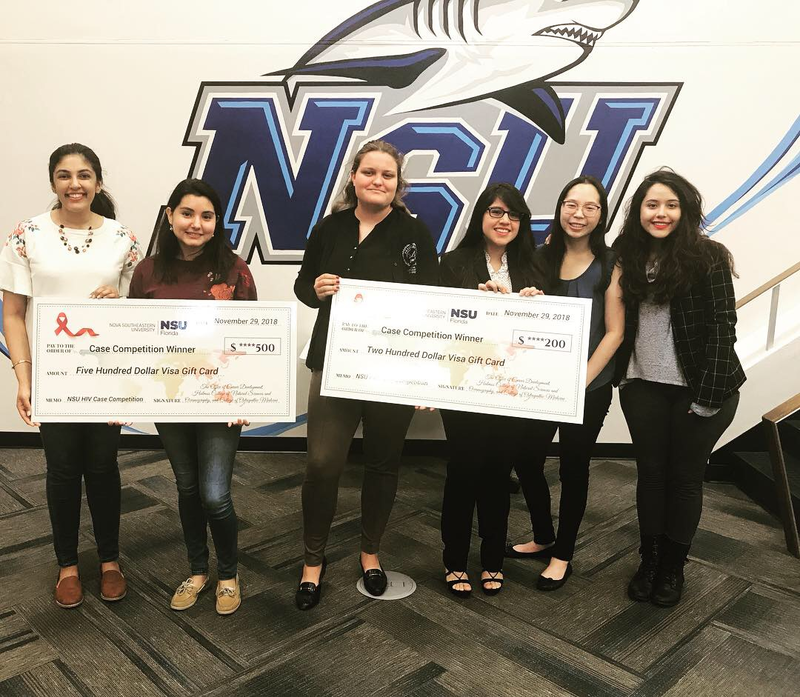 NSU has been hosting case competitions for four years and counting, and the variety of topics as well as experiences and prizes will continue to grow as opportunities expand and more students participate. If you are interested in potentially joining a future case competition, please contact the NSU Career Development at (954) 262-7201 or visit our Handshake page at https://nova.joinhandshake.com/.